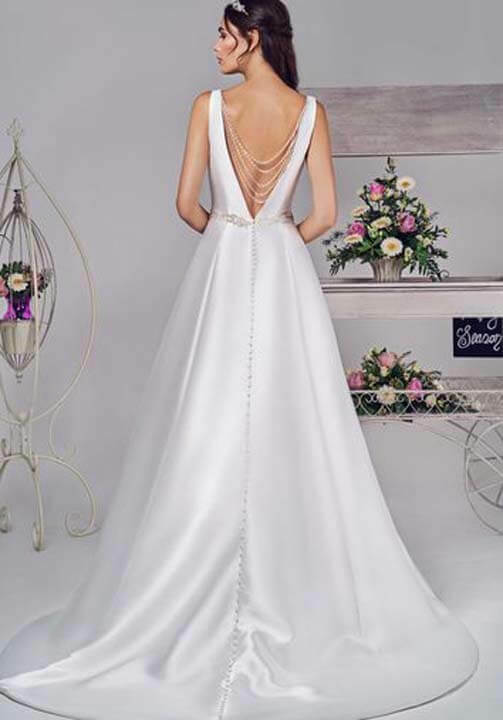 A beautiful satin wedding dress to wow all your guests. The plunging v neck and back has straps that lead round to a beaded swag. Embelished with a sparkle waistband belt.